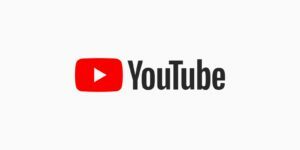 On January 18, YouTube channel of the presidential candidate Andriy Sadovyi resumed its work and is now available to all users. We shall recall that on January 15, the headquarters of the presidential candidate Andriy Sadovyi reported a hacker attack, as a result of which unauthorized access to the account was obtained and the YouTube channel was destroyed. “Our headquarters has contacted the main office of Google in Europe, in Dublin. We are grateful for the support of this service, which was able to completely restore the content of the channel and our access to it in a fairly short time,” said Volodymyr Dedyshyn, a representative of the headquarters. It is not yet known who was behind the attack on the channel. By the way, a new video from Andriy Sadovyi has already been uploaded on the channel – “What to do with the oligarchs”.